H&O Garage Door know that you can oftentimes experience issues with your garage doors at the most inconvenient times and sometimes in the worst weather and even during the odd hours at night. The thing is, these problems are not just inconvenient but can also be dangerous and cause accidents. That is why, we do not recommend hiring amateurs or adopting DIY solutions. We are availablesame day service all your garage door needs. Our Emergency Garage Door Servicecomes with the highest quality service at the lowest possible price. What’s more, our technicians will give you on-site FREE cost estimates. To get the best value for your money, Callus for your emergency garage door needs. Whether your garage door problem requires a replacement or repair of the door itself or any of its components, our technicians will be able to advise you on the most cost-effective and appropriate solution. Call H&O Garage Doorfor quick fixesbroken garage door springs, broken rollers and bent garage door tracks; repairs of garage door openers and cables; replacements of garage door drums and panels; insulation installation as well as tune-ups and inspection. Whatever is the problem with your garage door, we can definitely handle it. Our team of technicians are highly trained and experienced in any type of emergency garage door service.they will be able to diagnose the problem, offer you solutions and immediately fix the issues same day. They do it well and they do it fast. 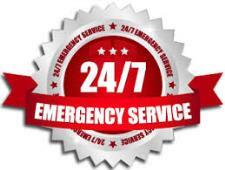 For Emergency Service Call Us!! !